A & D Auto Parts has been proudly serving customers in Toledo, Ohio for over 20 years. Maintaining one of the largest inventories of new and used auto parts available in the Midwest allows A & D Auto Parts to supply you with the part you need at the lowest price possible. A & D is family-owned and operated and dedicated to providing outstanding customer service and thorough automotive recycling services. We provide installation services for every product that we sell and guarantee an efficient and proper installation. With more than 15 acres of cars and trucks available, we are sure to have the part you need—motors, transmissions, transmission rebuilds, glass, heat and air conditioning, brakes and more. We pride ourselves on our auto recycling and salvage services, reducing the amount of useful automotive components that go to waste. Our junk car inventory and used parts supply provides the opportunity for vehicle owners in the Toledo Area and beyond to use and reuse vehicle parts, lowering costs and encouraging local sustainability. A & D Auto Parts offers convenient U-Pull-It self-service auto salvage. We recycle every part from the scrapped cars that occupy our yard, and we allow you to search through our inventory and remove the parts you need. A & D Auto Parts recycles any junk car and reuses all of the salvageable vehicle components reducing automotive waste and saving the community money on used parts that would otherwise be junked. 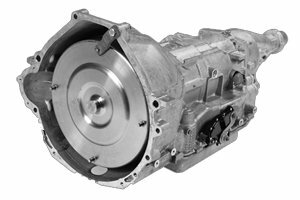 A & D is also a full-service automotive repair shop specializing in used transmission installation, transmission rebuilds, and engine repair. Our quality used inventory allows us to make cost-competitive repairs to high-mileage vehicles. We also accommodate repairs on newer vehicles as well, with access to quality new parts providing professional auto repair solutions for your vehicle investment. A & D is an ASE certified automotive repair shop serving the Toledo, Ohio area and beyond. We take pride in our automotive recycling services and our commitment to quality vehicle repair techniques and service. Our staff has professional knowledge of all motor vehicles and their component parts. We can answer your questions about cars and trucks and provide information about the manufacturer specifications and working replacement parts. Give us a call for any automotive repair or used part services that you require for your vehicle. Honesty and Quality is Our Policy! Any car component you can think of we have represented in our salvage yard. With hundreds of scrapped vehicle makes and models you have an excellent chance to find the used part you are searching for. The contents of this webpage are Copyright2018 A&D Auto Parts & Repairs. All Rights Reserved. A & D offers a large inventory of used automotive parts Toledo OH for cars and trucks. We sell used car components for all parts of the Ohio vehicles in our salvage yard. Our location also maintains and inventory of quality used car parts separate from our self-service auto salvage yard.We provide parts for the used auto parts Detroit MI area, used auto parts Chicago IL area, used auto parts Cleveland OH area, used auto parts Columbus OH area, and around the midwest.